Springs form a vital component in the seamless operation of a garage door and are responsible for raising and lowering the door. Most of the door’s weight is taken up by these components, making them susceptible to wear and breakage. Broken springs, if ignored, can pose a potential hazard to life and property. This is why, you need to call the experts in to have a look at your garage door springs and tighten, repair or replace them as necessary. Most often clients think that a spring installation is an easy task and attempt to do it on their own. This is not true. Spring replacement and installation of new springs require technical know-how of springs, experience in the same and expertise derived from technical training. Springs are to be chosen based on the size of the door, the material it is made of and requirements arising of auxiliary parts. A professional garage door expert is required for this task, someone who has enough experience and finesse to handle and work around a garage door situation like this. Wrong springs installed in garage doors can have serious consequences. 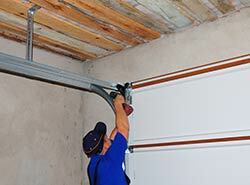 A door expert at Trust Garage Door can help in servicing garage doors and address other pressing garage door issues. Torsion springs are counter parts of extension springs, but more advanced. They are more dependable and secure for garage door usage. These springs are built in a way to offer a more vigorous mechanism for garage doors. The springs are setup more tersely; they are securely coiled over a channel and have cables interlaced through drums on both sides at the end. When your door lifts, these torsion springs unwind and the door experiences a lift. These broken springs are a very safe option as they support the garage door even in case of a broken spring. Torsion springs are the most widely used for all door types. 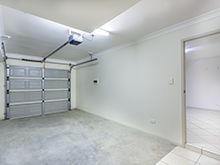 Residential garage doors with lesser springs or heavier industrial garage doors all use torsion springs. A trained mechanic from Trust Garage Door will be able to guide you to choose the correct type, size and number of springs. Extension Springs are primarily responsible for contraction and expansion. These springs can bear a lot of load making them ideal for garage doors. On the door closing, the spring expands and vice-versa. As these springs prompt high elasticity they should not be controlled by an inexpert. A worn-out spring can cause intense damage to people and property. Our team’s spring experts ensure these springs are operating at the optimum levels at all times. 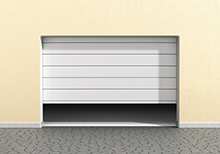 At Trust Garage Door, we offer a one-stop resolution to all your spring related queries. If you’re facing an issue with your garage door’s spring or need a replacement, call Trust Garage Door in Nashville, TN area!